Rollers can come in either idler (with bearings) or with journals. 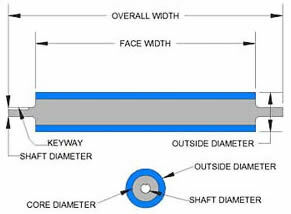 Journals can be keyed for a drive roller application or machined to tolerances to fit in bearings. 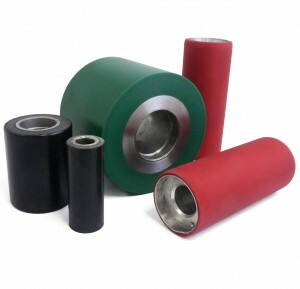 Covered with your choice of polyurethane our rollers can really perform! We can manufacture from a supplied sample, your description, or technical drawings. 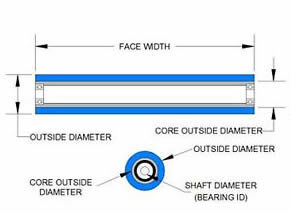 Fill out the form below for a fast quotation for the roller you need. For an ultra-fast quote, fill in your dimensions below and click submit.